Now that you have the song from Fiddler on the Roof going through your head I will give you a few moments to clear it out……..there….that ought to do it. Let me tell you what has me thinking of traditions today. Every year my family has a week that is designated as Lakeside week. Lakeside on Lake Erie is the home of the East (and West) Ohio Annual Conference of the United Methodist Church. My family has a long history of being a part of the United Methodist Church because both my father and grandfather were ministers with the denomination. Now my sister is also an ordained elder so the tradition continues. But maybe more than the tradition of ministry in my family is the tradition of being in Lakeside. Lakeside to me is home. It is the one place that has remained basically the same for me in my 54 years of life. I have had the opportunity to move numerous times and live in a myriad of places in my lifetime but Lakeside has been my touchstone. It has been the one place that I come back to year after year and is part of my heritage . According to Wikipedia a tradition is a belief or behavior passed down within a group or society with symbolic meaning or special significance with origins in the past. Lakeside is that for me—it has special significance to me and to my family. When I was growing up there were three families that became friends and always had fun together. The Klines, Mustards and Browns all had kids around the same ages and with the fathers being ministers the group came to be a pretty tight knit group of friends. One of our traditions was to have a yearly picnic. It was usually towards the end of the week so that we could use up all the leftovers in the refrigerators before we all headed back home. Last year we resurrected the picnic after years of not having it any more and I think it is here to stay. The amazing thing to me is that now the mantle has basically been passed. The original 6 adults are no longer living with the exception of my mom but the children and their children and now their children are all continuing the tradition of spending time at one of the places that they remember from their childhoods. It is a tradition that has been passed down and maintained. What is so special about Lakeside? A lot of things. It is one of the few remaining places that fosters a safe and totally family friendly environment. From the quaint downtown shops, the Patio ice cream treats, the movie theater, shuffleboard courts, miniature golf and fishing off the dock—there is something for everyone. Lakeside has worked very diligently over the past few years to upgrade their image and to maintain the environment that makes folks want to come back year after year. Not only is Lakeside the home to the Annual Conferences it is one of the last remaining Chautauqua communities and after East Ohio Annual Conference is over it becomes a gated community with a plethora of activities for the residents and visitors to enjoy. A Chautauqua community offers a retreat / resort like atmosphere that combines religious observation, summer education, recreation and cultural opportunities. There is so much going on with concerts and activities for both adults and children. Traditions are so important in these days when it is so easy to lose sight of the simpler things in life. My tradition of coming to Lakeside, spending time with family and friends catching up, relaxing by Lake Erie with a book or a fishing pole, swatting the mayflies away and avoiding the light poles where they congregate at night, shopping in the little shops downtown, worshipping in Hoover Auditorium and staying in cottages that have a charm of their own is something that I am glad is part of my life. As I reflect today on the blessings of Lakeside I know that I am not alone in my love of this place. I am sure many other folks have similar feelings. What about you? Do you have a tradition? A place or a thing that you do that you love and always want to keep as part of your life??? I would love to hear about it. Feel free to share in the comments. you know fiddler on the roof didn’t even pop into my head before you mentioned it.. but now… UGH! Tradition. The moment she wrote it I belted out TRADITION. I am so susceptible to suggestion. Wish I could stay strong!! It was nice to read about your tradition! It reminded me of the family reunions on my mom’s side of the family. Ever since I could remember, there was one every summer. My mom was one of 12, so it was a huge family. Some years, we’d have upwards of 70 people attending. But, the last of the 12 children died a few years ago, and sadly, the younger generations just don’t have the connections – or interest. 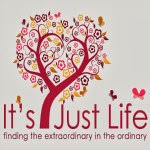 My husband and I began hosting it about 3 years ago, and last year, we had a total of 9 people…. 4 original “first cousins”, and the others being second cousins and spouses. But I’ve decided that, as long as at least 1 other person wants to come, we’ll grill some hot dogs, and I’ll make deviled eggs and we’ll have the family reunion! That is exactly what I am talking about. Those traditions that even if they are not quite the same as they once were still serve a purpose. I think the reunions you share must be an amazing thing and it is so good of you to get them going again and stick with it in the busy world we live in. Relationships are so important and we get so “busy”. Good on ya. 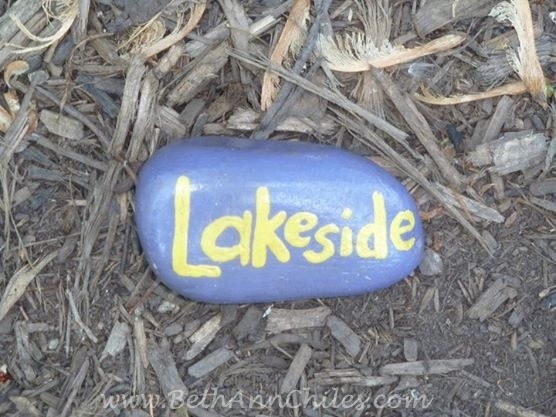 I loved hearing about Lakeside and why it’s so special to you and your family. Plus, the collage made me feel like I had a window into your experience. There’s something so special about those places that don’t change with the passage of time. Happy you had a great trip. I’m sure the mayflies miss you. I want to stay here. This place looks like something you’d see in a magazine or read about in a book. What a dream of a get-away. I can see why you love it so. A tradition that I cherish is the annual Kletscher family reunion which happens every July in my hometown. It’s the one time of year I get to see many of my aunts, uncles and cousins. I certently agree with you as I am the one parent still going. I went there when I was younger with the young people at church, we went there for our honeymoon, and when my husband was a pastor, every year since then. It is a wonderful place with lots of beauty and things to do. “The flip-flop cottage.” What a cool name! And thanks for sharing your tradition — it sounds lovely, a place where you can revisit the past while forging new memories. Is that ice cream? Yum, looks so refreshing! Gulfport is my tradition (I’ve already posted about it); I’m kind of anxious to get back and escape this Midwest humidity, ha! Lakeside sounds like a wonderful tradition. I love the idea of family reunion. In reality the few we’ve had have been stressful. And we have a smallish family. I would like to stay at the Flip Flop cottage with a few family member, tho. Love the name. Our traditions center around making the first batch of homemade lemonade, celebrating the solstice, and we always celebrate Thanksgiving at our house with the same friends. The guys make the entire meal. The menu never changes and we take four days to clean up :-D.
It really is a wonderful place for us to be together. As long as we can keep going we will. I love your Thanksgiving tradition. That is a special one. Sounds like a lovely place. I remember the cottages from one of your previous posts. New followers may not be familiar with it. By all means, do share it. What a wonderful tradition for your family! Do your sons still attend the same week as you? My family used to have so many traditions involving family (my grandmother had 7 sisters) but now the older generation is gone, we never see any other members of the family unless it is at a funeral. It’s really sad. It is a lot of fun. Aaron came up for a few days last year but Micah has not been for years. I suspect it is not exciting enough for him. 🙂 The boys loved it when they were younger because all the cousins were there. This looks like such a great spot. Thank you for sharing! See? I knew it would stick in your head!!! 🙂 Enjoy the song headache!